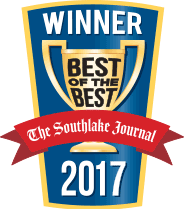 Berkeys has been serving the Mansfield community since 2003, and we couldn’t be prouder to have earned your trust. When it comes to providing professional and reliable plumbing services, there is no better choice than Berkeys. 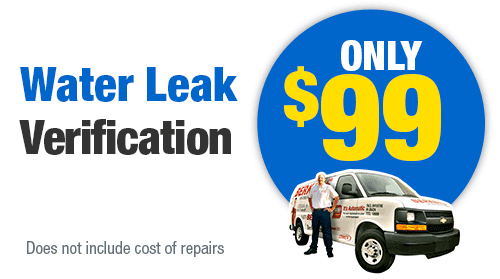 Our plumbers are fully licensed and highly trained, and will swiftly arrive to solve all of your plumbing problems. Have an emergency? Our 24/7 service ensures that you won’t have to wait until regular business hours to get help. Plumbing issues should never be left long to cause more damage, so our professionals will make sure to get there quickly, day or night. Give Berkeys a call today if you are in Mansfield and have plumbing issues. Y will show you why our customers have been referring us to family and friends since we started. There are two kinds of water heaters. There is the traditional kind that involves a large tank that stores water as it is heated. The other type is a tankless water heater. No matter kind you have, we can service, repair, and install it. 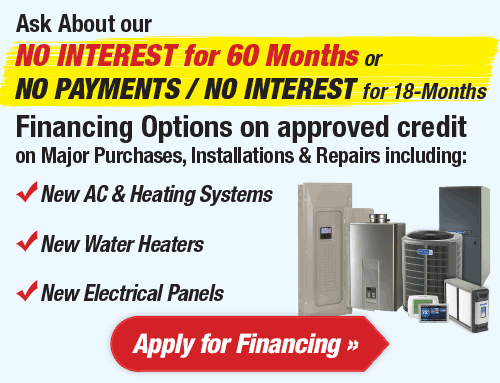 Regular servicing is important, otherwise, your water heater may stop working suddenly. Our Mansfield water heater experts can evaluate your system for any potential problems to make sure that it runs smoothly at all times. If you need a replacement, we can provide you with the guidance and advice to make the right choice for you. 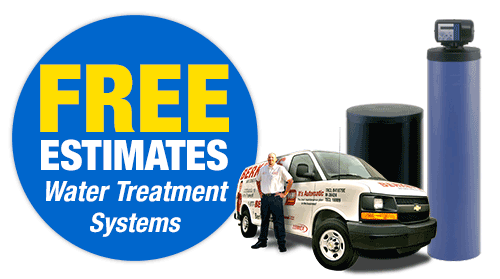 We are especially proud to by the tankless water heater experts, so call us today for more information. As the name might suggest, tankless water heaters do not use a tank to store water for heating. They are getting more popular all the time for several reasons. One of those reasons is that they have better longevity than traditional water heaters. Not only will they last longer, but they come with longer warranties as well. Tankless units also provide better energy efficiency, so you can save money on your energy bills as well. 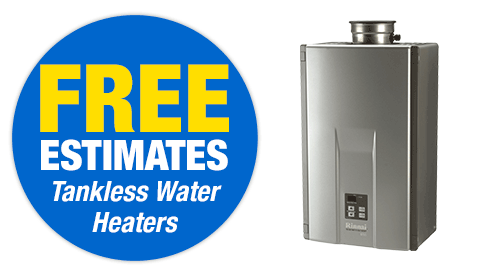 You can have peace of mind and save money when you go with a tankless water heater. 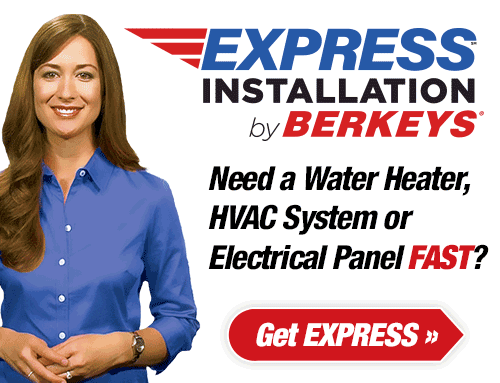 Berkeys’ technicians specialize in the installation and repair of water heaters. Despite the gaining popularity of tankless water heaters, the traditional tank-type ones are still the most common. Our plumbers are highly trained to spot any issues and fix them efficiently so that you do not end up with a surprise when using the hot water. The installation and repair of a hot water heater is a complicated process, and should only be handled by a skilled professional. Call Berkeys today to help. There comes a time in the life of every pipe that it cannot continue to do its job. It may be caused by fluctuating temperatures over time, or it may be the ground shifting. Most often, it is simply age. Whatever the reason, you may notice that your water pressure is not as good as it used to be, or that you have rusty-colored water. Repiping will get new pipes installed in place of the old. That way your water pressure will go back to normal, and your water will be crystal clear once again. Repiping is not something that can be handled by a DIYer, so contact Berkeys to have a licensed specialist come and do the job for you. The reason they are called plumbing emergencies is because they happen suddenly and are a big problem. They can throw your entire home or business into disarray. That is why Berkeys offers 24/7 service. We will get there fast so that your plumbing can be back to normal as quickly as possible. One way to help prevent some of those emergency situations is with a Berkeys Club membership. 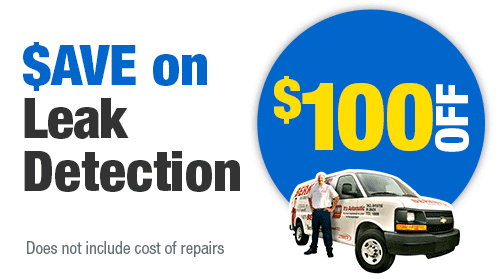 Membership includes an inspection every year so that our experts can check out your system for any potential problems. An annual plumbing inspection will help make sure that your plumbing system is running at its best for the rest of the year. 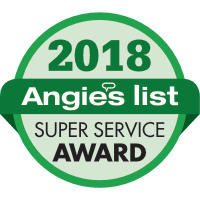 Once a year, one of our specialized inspectors will evaluate your system and check for any trouble spots or potential issues. If they find any, they can fix them right away so that they do not develop into larger problems. With a Berkeys Club membership, you will also receive a 15% discount on plumbing repairs along with your annual inspections. 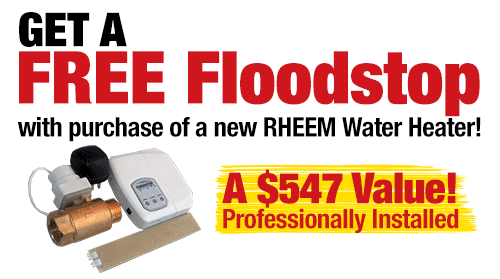 If you are a homeowner, you have probably had to clear out a clog at some point. While it is common problem, that does not mean that all clogs are created equal. Some will not be so easy to clear. Not only that, but the clog could by a symptom of a bigger underlying problem. If you have a drain clog that seems like it is out of the ordinary, call Berkeys to have one of our clog experts examine the situation. They will not only remove the clog, but they will also check to make sure there isn’t something else going on behind the scenes. As mentioned, some clogs are harder than others to remove. That is when special efforts are needed to help. Hydro jetting involves sending high-pressure water through your pipes to push through blockages. Whether the clog is caused by a grease build-up or simple debris, hydro jetting can send a powerful enough blast to break down the blockage and get your water flowing. Hydro jetting is a procedure that requires special training and carries some risks. Contact a professional at Berkeys in Mansfield if you have a stubborn clog that might need some extra effort. The last thing you want is sewage backing up onto your bathroom floor. It can cause major damage and pose a serious health risk. It is vital to keep your sewer line open and the water flowing freely away from your home. At Berkeys, we offer a full array of sewer line services, such as cleaning, repairing, replacement, and inspection. 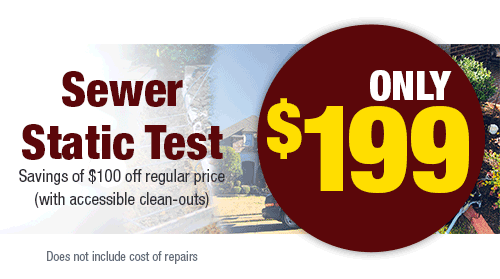 A blocked or damaged sewer line can wreak havoc on the rest of your plumbing system. 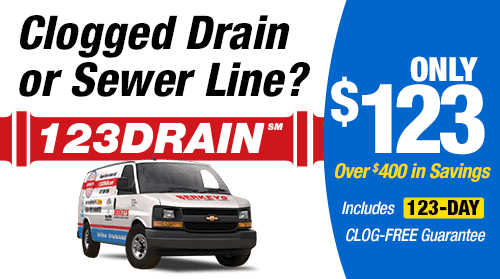 Call Berkeys today to keep your sewer line flowing as efficiently as possible.